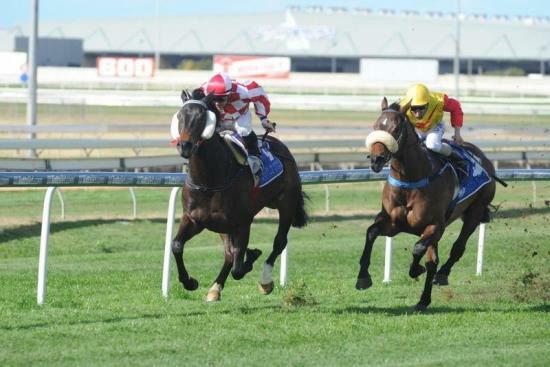 Lightly raced gelding Glendara gave his owners something to celebrate at Doomben yesterday with an impressive victory. With a near capacity crowd on course due to the Ekka Wednesday public holiday Glendara showed he was back on track when taking out the third race. After jumping mid field Chris Munce let the four-year-old son of Show A Heart stride up and take the lead at the top of the straight before he fought of the challengers on the line. The win was a welcome relief for trainer Barry Baldwin and his group of owners after his last preparation which saw him suffer from heart arthymia. Baldwin said the horse would improve with the outing and jockey Munce said he could have won by more had he been asked. The win was timely as Baldwin is in the process of syndicating a half sister to Glendara which he purchased from the recent Magic Milions sales.